Background Discharge summaries are essential for communicating patient information from secondary care to general practice on hospital discharge. Although there has been extensive research into their design and completion in secondary care, very little is known about primary care processing of these documents. Aim To explore what general practice staff think are the factors associated with failure to respond to actions requested in discharge summaries and what practices do to mitigate this. Design & setting Semi-structured interviews were undertaken with primary care staff in three geographical regions of England. Method Interviews with 10 practice managers and 10 GPs (one of each at each of the 10 practices) were undertaken to explore management of discharge summaries. Results Five themes emerged from the interviews. The 'secondary care factors' theme describes participants’ perspectives on the design of summaries, which are inconsistent and often require improvement. The 'safety features of processing systems' theme focuses on document handling in primary care. A theme devoted to 'medicines reconciliation' followed. 'Error and harm as a result of faulty processing' is a theme describing ‘human error’ and other factors that participants believed contributed to failure to respond to requested actions. Finally, the 'strategies for safety improvement' theme describes initiatives to prevent failures of safer transitions of care. Conclusion Correct processing of discharge summaries is essential to ensure patients experience a safe transition of care and not just a hospital discharge. Based on the interview findings, strategies to mitigate against faults in the processing of discharge summaries have been suggested to enhance safer transitions of care. All GP practices handle discharge summaries for older patients on a daily basis. The authors' recent paper in the British Journal of General Practice1 shows that discharge summary processing for this cohort is imperfect nearly half of the time, but little is known about why this might be the case. Therefore, the views of key staff in general practices were sought to discover what they believed were the reasons for incorrect processing and how this might be avoided. Based on the findings, a list of recommendations have been built for practices and hospitals to use to achieve safer care transitions. The qualitative work presented here was part of a wider mixed-methods study showing that failures occur in the processing of almost half of discharge summaries.1 The research question was: what do general practice staff think are the factors associated with failure to respond to actions requested in discharge summaries and what can practices do to mitigate this? Interviews were conducted at the participating general practices in three areas of England. Ten practices were purposively sampled for the study1 from volunteer sites in the East Midlands, West Midlands, and in the North West to include a range of list sizes and different clinical information technology systems. Participants (senior GPs and practice managers from those 10 practices) were individually consented and none dropped out of the study. Interviews were digitally recorded and followed the semi-structured interview guide, which was subject to minor adaptions as part of a reflexive process as the schedule of interviews progressed (further information available from the authors on request). Password-protected audio files were professionally transcribed. To ensure accuracy of transcription, all were checked by the lead researcher, following best practices for framework analysis.15 Transcripts were anonymised and emailed to participants for them to check. Coding was managed in NVivo (version 10). The framework was developed by the lead researcher in an iterative process, as described in worked examples provided in framework methodology literature.15 A code book was subsequently developed by two members of the practice team. Quality of coding was checked at a face-to-face meeting with co-authors with qualitative expertise. Twenty interviews (of 29–62 minutes duration) were conducted. Descriptions of the practices and participant demographics are shown in Box 1 and Table 1 respectively. Practice 1 is the working site of GP1 and practice manager 1, practice 2 is the working site of GP2 and PM2, and so on. Where not stated, the practice had average IMD scores. Practices have been anonymised and randomly numbered to protect the identity of interview participants. IMD = index of multiple deprivation. Five main themes emerged from the interviews; these are detailed, along with their subthemes, in Box 2. The order of the themes follows the journey of the discharge summary document, from creation in secondary care through primary care administrative systems, to clinical processing (where error or harm might occur), and finally to strategies for safety improvement, where system redesign in response to these errors has happened. Most themes map closely to the original semi-structured interview schedule, but ‘secondary care factors’ emerged de novo. Some minor subthemes are not reported on here owing to word limit constraints (see Box 2 subthemes in brackets). The simple intervention or alphabetisation of the medications reconciliation part of the summary was mentioned by several participants. This would then place the drugs in the same order as that occurring on the GP's system. Methods to improve discharge summary processing suggested by participants included: priority scanning, priority marking in the EDMS, and creation of an on-the-day workflow. Although clinical IT was reported as having potential to improve the processing of summaries, two practices had reverted to paper systems for discharge summaries specifically, and many GPs were printing summaries in order to reconcile medications. Electronic ‘task’ systems were both the solution to, and the cause of, problems with summary processing. Twenty in-depth interviews were conducted with senior general practice staff in three different parts of England on a novel topic. Participants identified concerns with design and completion of discharge summaries. They offered reasons for incorrect processing in general practice and described strategies they had used to mitigate against this. Recommendations for safer management based on the findings are described in Box 3. Using a single interviewer helped to ensure consistency; the lead researcher had already investigated the practices’ systems and was able to approach the interviews fully informed of this information. The team approach to the interview schedule design and subsequent quality-checking during the analysis of data served to minimise bias. A GP interviewer and the lack of anonymity could be seen as limitations but, as the results suggest, practice staff were able to speak candidly about a taboo subject. Indeed, participants may have been more welcoming of analysis of their highly personal systems by a perceived ‘insider’. The occurrence of de novo themes and the presence of divergent views are indicative of theoretical saturation that allowed a narrative to be developed. The in-depth interviews were adequate in length and conducted with appropriate participants from a culturally cohesive sample. Thematic saturation has been achieved, evidenced by no new ideas emerging toward the end of the interview (except in the ‘improvement strategies’ theme, where it was not anticipated). Participants felt that electronic discharge summary design had scope for improvement, echoing previous findings.21 Delegation of workload to primary care remains a contentious issue, as demonstrated in other primary care provider interviews23,24 and, despite guidelines to the contrary,25 some participants felt that hospitals were not taking responsibility for follow-up of diagnostic test results at discharge from hospital. Participants were able to identify a broad range of error-producing conditions, but did not demonstrate a sophisticated understanding of how and why they occurred. They struggled to connect active failures on a particular discharge summary to broader latent failures within practice systems. Organisational factors20 were particularly hard to demonstrate as participants were almost entirely uncritical of their own practice systems. There was a reluctance by participants to discuss the role of the individual in the occurrence of error, perhaps because of the widely established concept that patient safety should not be a punitive field.31,32 Current political thinking on medical errors emphasises the need for the NHS to move away from a blame culture toward a learning culture.33 Systems need to be developed to mitigate human error, particularly to anticipate distraction from competing workload and time pressures (‘paperwork’ is GPs' fourth most likely job stressor).34 Cultural norms in general practice may make it challenging to promote interventions that prioritise dedicated time for paperwork. Responsibility for processing clinical documents in general practice is increasingly becoming an administrative role35 as promoted by the prime minister’s challenge fund,22 but as participants described, GPs would struggle to hand over control of discharge summaries to non-clinical staff for fear of missing out on important clinical information. Participants described IT interventions to reduce error: streamlining existing task and diary systems and using Read-coded actions as failsafes for other systems. Interoperability of clinical systems both between secondary and primary care, and between practice clinical systems and EDMS, was considered highly desirable by the participants and is evidently achievable.36 IT systems for medicines reconciliation do exist in the US,37 but adaptation to the UK would need careful consideration and input from stakeholders. Most practices in the study were employing safety systems that they had ‘invented’ in-house to address particular local problems; sharing these examples using the Royal College of General Practitioners ‘bright ideas’ scheme,37 could facilitate spread of the best of these interventions. Findings from the 'secondary care' theme suggest that there needs to be improvements in the quality of discharge summaries that are sent out from secondary care. Specific recommendations for discharge summary design, which are based on recurring subthemes present in the interview data, are included in Box 3. Hospitals should strive for standardisation and be reasonable in the requests made of primary care teams, particularly aiming to eliminate requests for follow-up of results of tests originating in secondary care.38 Box 3 describes suggestions made by participants in relation to the administrative team — such as protected time and/or workspace, and aiming for continuity of care while preserving timely transfer to doctors — and, for clinicians, suggestions about when and how decisions relating to discharge summaries should be documented. The participants were concerned about responsibility for medicines reconciliation, and this issue needs legal clarification as a follow-up to the Care Quality Commission report of 2011,30 with consideration of the role of the pharmacist both in primary and secondary care. Strategies captured in the 'safety improvement' theme indicate that there are implications for improvement of general practice systems (including IT) providing important opportunities for future research (see ‘wider systems redesign’, Box 3). More funding to alleviate pressure in general practice might allow practitioners to dedicate more time to tasks, such as carefully checking discharge summaries, thereby addressing the workload concerns of participants. Indeed, establishing administrative time for GPs (similar to that given to consultants as part of their Supporting Programmed Activities)39 might help embed this activity into the working week of GPs and help them to maintain personal responsibility for clinically important administrative work, which the participants desired. If processing discharge summaries becomes a task for administrative staff then resources need to be directed to set aside protected time for this activity in order to address the participants’ concerns on this matter. This study has shown that general practice staff can identify where processes for managing discharge summaries might be improved by better documentation; development of IT; protection of workspace and time; and by enhanced communication with patients. The participants describe a need for consistency in the use of information in discharge summaries by secondary care, especially about results handling and medicines reconciliation. Such consistency and easy-to-understand standardisation should be assigned ‘Always Events’ status (a strategy to 'accelerate improvement efforts to enhance experiences of care for patients').39 More work is needed to characterise the safety interventions already in place in practices across the UK and to identify how actions can be processed most reliably and effectively in general practice. This work was completed as part of an NIHR School for Primary Care Research Career Progression Fellowship awarded to the lead author, Rachel Spencer. Additional funding to undertake the work was received from the NIHR Greater Manchester Patient Safety Translational Research Centre (NIHR Greater Manchester PSTRC). The views expressed are those of the author(s) and not necessarily those of the NHS, the NIHR or the Department of Health. Ethical approval was given by NHS research ethics committee (15/WM/0442) and Confidential Advisory Group (16/CAG/0007). The authors would like to express their thanks to the GPs and practices managers who participated in the study, Christina Sheehan for help and advice on gaining ethical approval, Claire Poxon for transcribing the audio files, and the National Institute for Health Research for funding this work. (2018) Processing of discharge summaries in general practice: a retrospective record review. Br J Gen Pract 68(673):576–585. (2015) Transition between inpatient hospital settings and community or care home settings for adults with social care needs. [NICE Clinical Guideline No G27]. accessed 9 Jan 2019. https://www.nice.org.uk/guidance/ng27/chapter/Recommendations#discharge-from-hospital. (2014) Making our health and care systems fit for an ageing population. accessed 9 Jan 2019. https://www.kingsfund.org.uk/publications/making-our-health-and-care-systems-fit-ageing-population. (2018) In and out of hospital. accessed 9 Jan 2019. https://webcache.googleusercontent.com/search?q=cache:-QrL32AncwEJ:https://www.redcross.org.uk/-/media/documents/about-us/research-publications/health-social-care-and-support/in-and-out-of-hospital-report.pdf+&cd=1&hl=en&ct=clnk&gl=uk&client=firefox-b. (2017) What happens when people leave hospital and other care settings? Findings from the Healthwatch network. accessed 16 Jan 2019. https://www.healthwatch.co.uk/sites/healthwatch.co.uk/files/20171004_what_happens_when_people_leave_care.pdf. (2007) Deficits in communication and information transfer between hospital-based and primary care physicians: implications for patient safety and continuity of care. JAMA 297(8):831–841, doi:10.1001/jama.297.8.831. (2015) Harms from discharge to primary care: mixed methods analysis of incident reports. Br J Gen Pract 65(641):e829–e837, doi:10.3399/bjgp15X687877. (2014) What constitutes a high quality discharge summary? A comparison between the views of secondary and primary care doctors. Int J Med Educ 5:125–131, doi:10.5116/ijme.538b.3c2e. (2010) Information in general medical practices: the information processing model. Fam Pract 27(2):230–236, doi:10.1093/fampra/cmp102. (2017) Patient Safety Toolkit for General Practice. accessed 9 Jan 2019. http://www.rcgp.org.uk/clinical-and-research/toolkits/patient-safety.aspx. Scottish patient safety programme: primary care. Safety across the interface. accessed 15 Jan 2019. https://ihub.scot/spsp/primary-care/safety-across-the-interface/. (2007) in Designing and conducting mixed methods research, eds Creswell JW, Plano Clark VL (Sage Publications, Thousand Oaks, CA), pp 20–37. Examining preliminary considerations. (2008) Qualitative case study methodology: Study design and implementation for novice researchers. Qual Rep 13(4):544–559. (2012) Failure mode and effects analysis: too little for too much? BMJ Qual Saf 21(7):607–611, doi:10.1136/bmjqs-2011-000723. (2013) Using the framework method for the analysis of qualitative data in multi-disciplinary health research. BMC Med Res Methodol 13(1):117, doi:10.1186/1471-2288-13-117. (2017) Assessing the impact of the introduction of an electronic hospital discharge system on the completeness and timeliness of discharge communication: a before and after study. BMC Health Serv Res 17(1):624, doi:10.1186/s12913-017-2579-3. (2019) Medication reconciliation to prevent adverse drug events. accessed 21 Jan 2019. http://www.ihi.org/Topics/ADEsMedicationReconciliation/Pages/default.aspx. (2013) Medication reconciliation during transitions of care as a patient safety strategy: a systematic review. Ann Intern Med 158. (5_Part_2):397–403, doi:10.7326/0003-4819-158-5-201303051-00006. (2015) Medicines optimisation: the safe and effective use of medicines to enable the best possible outcomes [NICE Clinical Guideline No 5]. accessed 9 Jan 2019. http://www.nice.org.uk/guidance/NG5/chapter/1-recommendations#medicines-related-communication-systems-when-patients-move-from-one-care-setting-to-another. (1990) The contribution of latent human failures to the breakdown of complex systems. Philos Trans R Soc B Bio Sci 327(1241):475–484, doi:10.1098/rstb.1990.0090. (2008) Patient safety events reported in general practice: a taxonomy. BMJ Qual Saf 17(1):53–57, doi:10.1136/qshc.2007.022491. (2017) Salford integrated record. Sharing patient information locally. accessed 11 Jan 2019. www.salfordccg.nhs.uk/download.cfm?doc=docm93jijm4n524.pdf&ver=680. (2016) Standards for the communication of patient diagnostic test results on discharge from hospital. accessed 9 Jan 2019. https://www.england.nhs.uk/patientsafety/wp-content/uploads/sites/32/2016/03/discharge-standards-march-16.pdf. (2012) Stakeholder perspectives on handovers between hospital staff and general practitioners: an evaluation through the microsystems lens. BMJ Qual Saf 21(Suppl 1):i106–i113, doi:10.1136/bmjqs-2012-001192. (2012) Medication reconciliation at hospital admission and discharge: insufficient knowledge, unclear task reallocation and lack of collaboration as major barriers to medication safety. BMC Health Serv Res 12:170, doi:10.1186/1472-6963-12-170. (2010) Making inpatient medication reconciliation patient centered, clinically relevant and implementable: A consensus statement on key principles and necessary first steps. J Hosp Med 5(8):477–485, doi:10.1002/jhm.849. (2017) Pharmacists working in general practice: can they help tackle the current workload crisis? Br J Gen Pract 67(662):390–391, doi:10.3399/bjgp17X692201. (2018) Clinical pharmacists in general practice. accessed 9 January 2019. https://www.england.nhs.uk/gp/gpfv/workforce/building-the-general-practice-workforce/cp-gp/. (1997) A systems analysis approach to medical error. Journal of Evaluation in Clinical Practice 3(3):213–222, doi:10.1046/j.1365-2753.1997.00006.x. (2011) A guide to consultant job planning. accessed 11 Jan 2019. https://www.ed.ac.uk/files/imports/fileManager/national-job-planning-guide-consultants.pdf. (2000) Human error: models and management. BMJ 320(7237):768–770, doi:10.1136/bmj.320.7237.768. (2018) The plan to reduce medication errors: Q&A with Jeremy Hunt and Professor Dame Sally Davies. accessed 21 Jan 2019. https://www.youtube.com/watch?v=VxfgjM_iZGg. Eighth national GP worklife survey. accessed 21 Jan 2019. http://www.population-health.manchester.ac.uk/healtheconomics/research/Reports/EighthNationalGPWorklifeSurveyreport/EighthNationalGPWorklifeSurveyreport.pdf. (2016) Medical assistants — workflow redirection in Brighton and Hove. accessed 11 January 2019. https://www.networks.nhs.uk/nhs-networks/releasing-capacity-in-general-practice/documents/4-5-medical-assistants-workflow-redirection-in-brighton-and-hove/view. (2018) Training for reception and clerical staff. https://www.england.nhs.uk/gp/gpfv/redesign/gpdp/reception-clerical/. (2011) Development of a tool within the electronic medical record to facilitate medication reconciliation after hospital discharge. J Am Med Inform Assoc 18(3):309–313, doi:10.1136/amiajnl-2010-000040. (2017) Bright ideas. 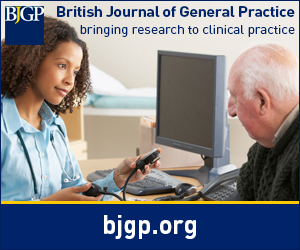 accessed 16 Jan 2019. http://www.rcgp.org.uk/clinical-and-research/bright-ideas.aspx. (2009) National Study: Managing patient’s medications after discharge from hospital. accessed 16 Jan 2018. http://webarchive.nationalarchives.gov.uk/20101122140156/http://www.cqc.org.uk/_db/_documents/Managing_patients_medicines_after_discharge_from_hospital.pdf. (2018) Always Events Toolkit. accessed 21 Jan 2019. https://webcache.googleusercontent.com/search?q=cache:XEE9mau8neEJ:https://www.england.nhs.uk/wp-content/uploads/2016/12/always-events-toolkit-v6.pdf+&cd=1&hl=en&ct=clnk&gl=uk&client=firefox-b-ab. (1997) A systems analysis approach to medical error. J Eval Clin Pract 3(3):213–222, doi:10.1046/j.1365-2753.1997.00006.x.